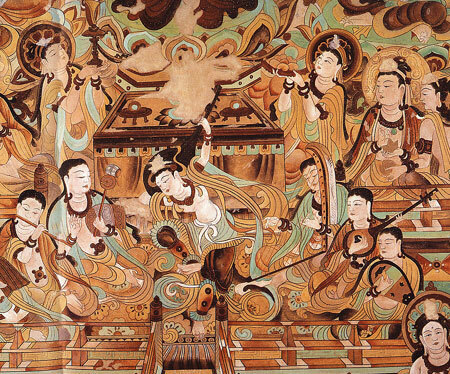 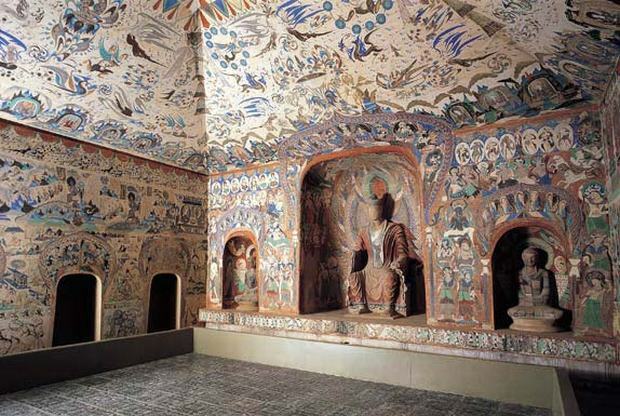 Located at a strategic point on the Silk Road, in the Gansu province, China lies the Mogao Caves or Mogao Grottoes. 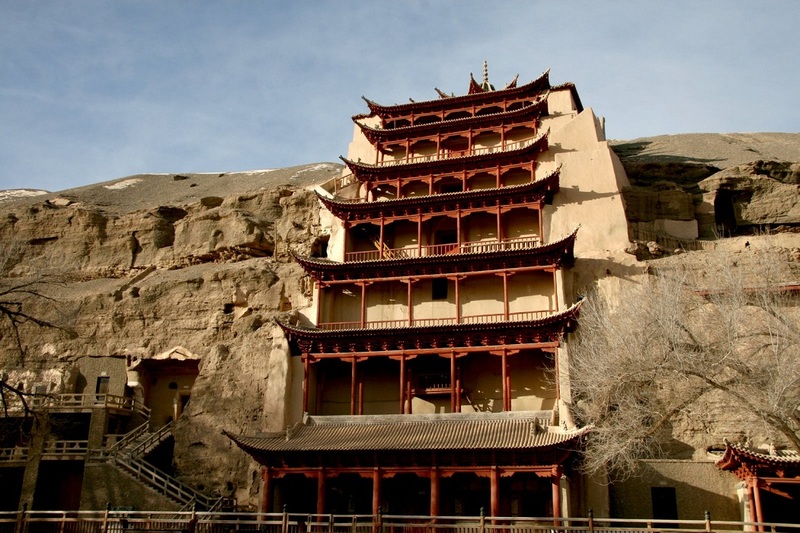 Also known as the Cave of the Thousand Buddhas (Qianfodong), it is a system of 492 temples carved into the cliffs just above the Danchuan River. 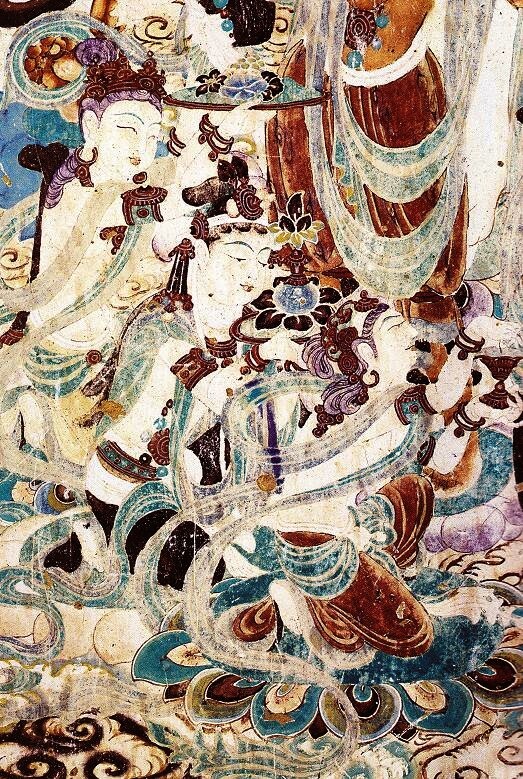 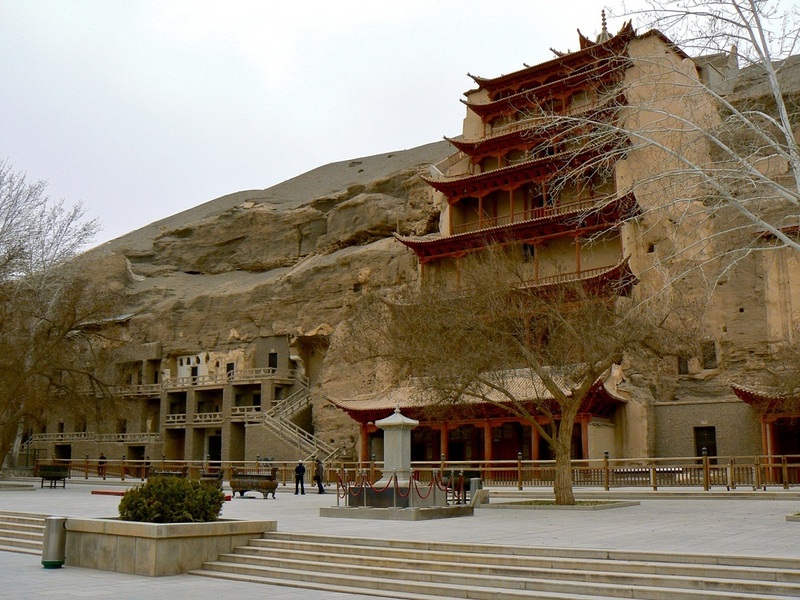 Believed to have been constructed from the year 366 AD onwards the caves presently preserve and house 45,000 square meters of murals and more than 2000 painted sculptures most of which are considered as masterpieces of Chinese art. Majority of the cells and temples were constructed from the 5th century up through the 14th century, when the region’s popularity began to decline. 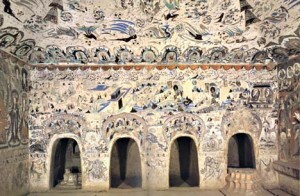 Several notable moments from the history of Central Asia have been illustrated in the caves in the form of frescos. The Mogao caves are also closely associated with the history of transcontinental relations and that of the propagation of Buddhism in Asia. It is believed that the caves were inhabited by Buddhist monks from the end of the 19th century until 1930 and serves as a prime example of traditional monastic settlement. 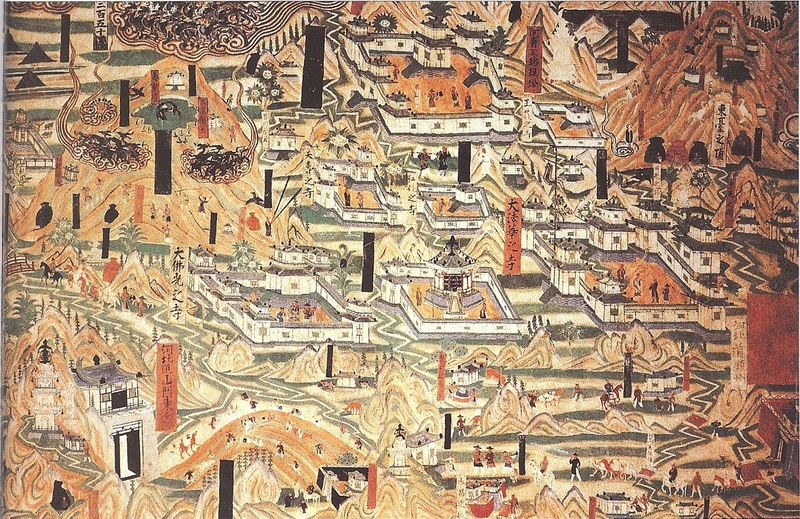 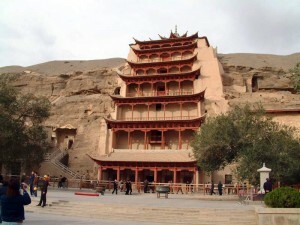 Cave No.17, discovered by Wang Yuanlu, is also known as the Library Cave. Originally used as a memorial cave for a local monk; a large number of documents dating from 406 to 1002 CE were found in the cave. 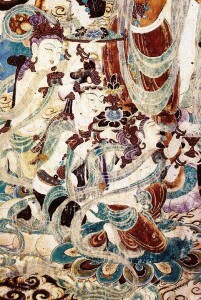 Also discovered in the same cave were 1100 bundles of scrolls and 15,000 paper books. Several textiles like silk banners, altar hangings, wrappings and monk’s apparel were also discovered from the Library Cave. 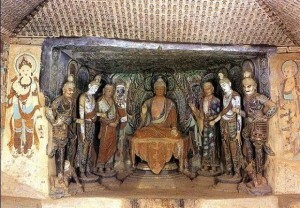 Due to reasons unknown the cave along with all its contents was sealed off sometime during the 11th century. 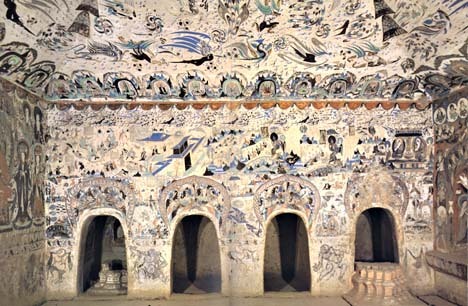 Most of the caves have paintings covering entire walls and ceilings. 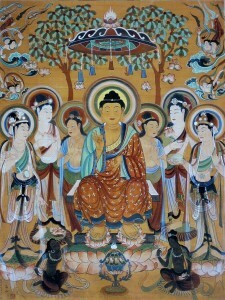 Almost all the paintings depict Buddha, with geometrical or plant decorations filling up any space not utilized by figurative images. 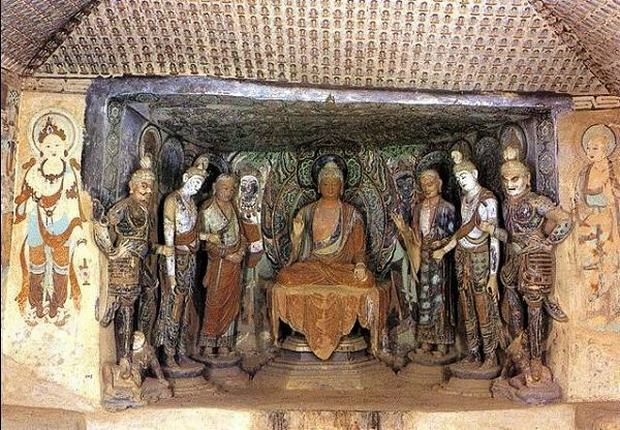 It seems that most of the small seated Buddha figures were drawn using stencils so that they could be identically replicated. There are also around 2400 surviving clay sculptures at Mogao. 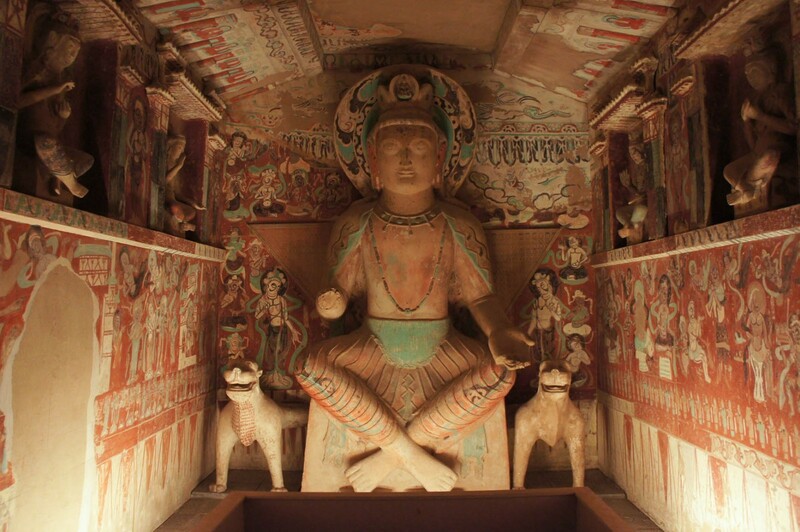 Most of these sculptures were first constructed on a wooden frame then remodeled with clay stucco, though the giant statues seem to have a stone core. 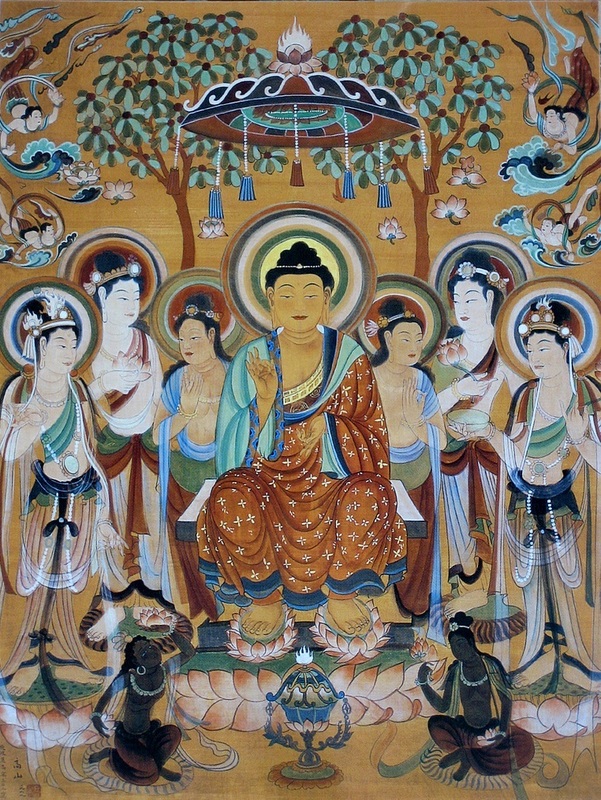 Buddha is generally depicted as the central statue surrounded by other mythical creatures. 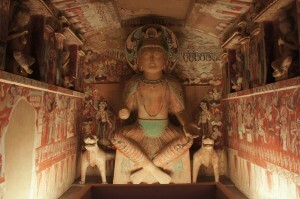 The blending of sculptures and wall paintings into a single composition is very common throughout the site. 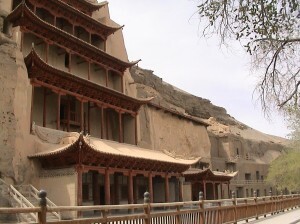 The Mogao Caves were inscribed on the World Heritage List in 1987. 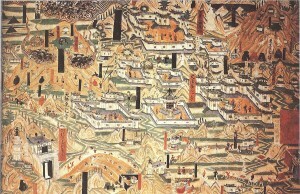 Since then it has been put under top level of protection to make its full historical information and value available to future generations.